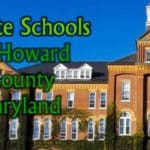 Looking for worthwhile things to do with your kids in the Baltimore/DC Area? I am too. Here is a list of 27+ fun activity suggestions that I have compiled from experience with my own children. Please feel free to add to this list by leaving a comment below. 1) Children’s museums: Visit the National Children’s Museum in National Harbor or in Baltimore called Port Discovery. Kids love both places. Another great place to take kids and teens is the Natural History Museum in Washington D.C. There are some great exhibits including mummies, gems and minerals, loads of animal and plant exhibits and an insect zoo where you can watch them feed a tarantula, see a live butterfly exhibit and more. One of the greatest things in the museum is also the best kept secret–Q?rius is the name of a special kids science zone in the basement of the museum. 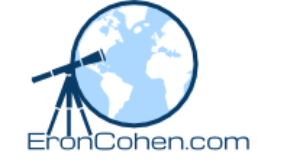 They have lots of high quality microscopes and tons of specimens and activities. I highly recommend this for all kids but especially kids and teens interested in basic science. Rumor has it that they will soon be getting a scanning electron microscope! See http://qrius.si.edu for information. Your children may also love the children’s activity center at the American Indian Museum. Also, the Smithsonian maintains a website with a calendar of things to do for kids at all of its museums. Check it out here. 3) The National Gallery of Art has free hour long story time/Looking at art classes for kids on Sundays. Get there before 11 (when the museum opens to get into the first class–usually there’s great parking spots open right near the museum). 5) Baltimore Harbor is always a fun place to go. The paddle boats are a little expensive, but our girls really love riding on them. Two of the most popular museums in the area are the National Aquarium and the Maryland Science Center. 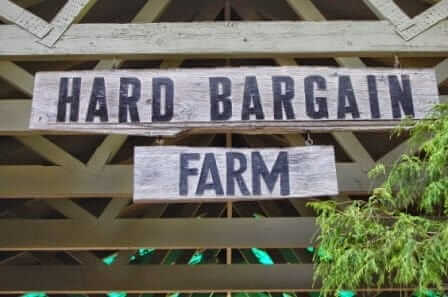 6) Visit Hard Bargain Farm. For some readers it might be a little bit far, but they have some great programs for kids there. 7) Visit the Patuxent National Wildlife Refuge in Beltsville. Ride the tram through the forest…. 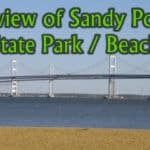 8) For a quick day-trip to the beach visit North Beach, Maryland or Sandy Point State Park. 9) Patapsco State Park – Visit one of several areas in the park including the “tire park” which is near Catonsville in the Hilton area of the park. Some great hiking and nice scenery. 10) Is it hot outside? 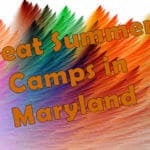 Follow the Maryland ice cream trail. 11) Go watch hobbyists launch model rockets at NASA Goddard. Held one Sunday per month–a tradition since 1976. You will also have a great, nerdy time at the Goddard Sunday Experiment. 12) Go to Imagination Stage and see a play for kids. This ten year old theater company produces high quality shows and presents them in a modern venue. 13) Take a trip to Great Falls and walk along the C & O canal tow path. See the amazing falls at the overlook. Hike on the billy goat trails and visit the museum. Take a ride on a canal barge. 14) Visit Clarks Elioak Farm in Ellicott City. Learn about farming and see artifacts from the Enchanted Forest. Check the website for hours. 15) Terrapin Adventures in Savage, MD or Adventure Park in Sandy Spring for some fun in the trees including zip lines and climbing. 16) The Maryland Renaissance Festival – On weekends and holidays from late August to Mid October, this is a great place to have some fun. If you’ve never been to a Ren Faire before, expect lots of interesting specticles — low-tech shows (Jousting, sword-swallowing, magic) and interesting food and drink. 17) The National Zoo or The Maryland Zoo in Baltimore. The National Zoo is free, there is an admission charge for the Baltimore Zoo (at this writing $17.50 for adults, $12.50 for children). Both zoos are an excellent experience for all ages. 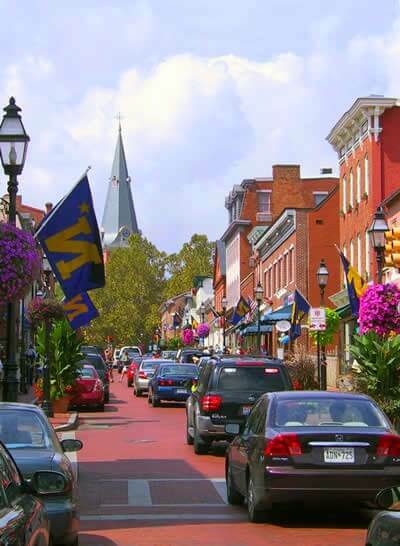 18) Visit historic Annapolis – This colonial capitol town is charming and storied. Visit the shops, museums and restaurants by the water, take a boat ride, a walking tour of the Naval Academy and more. There are quite a few things to do and see. If you get a chance, have a look at the Hammond Harwood, William Paca House and Charles Carroll house historic sites. 19) When you take a trip to Annapolis and go kayaking, paddle or canoeing at Quiet Waters Park. They even offer stand-up paddle boarding–give it a try! You may also want to try Capital SUP – You can do stand-up paddle boarding right in the Annapolis Harbor in Eastport. 20) Transportation Museums – In Baltimore, visit the B&O Railroad museum – Kids love trains. This is a chance to explore the history of the railroads and see old steam engines in person. To continue the rail theme, visit the streetcar museum. Also in Baltimore at the inner harbor are some historic ships including the USS Constellation and sometimes a submarine for you to get on board and have a look at. In College Park, there is an aviation museum. Another great museum is the Maryland Fire Museum in Lutherville. They have an amazing collection of old fire aparatus and plent of fun things for kids. 21) For a bit of history, visit Montpelier Mansion in Laurel. This Georgian mansion is very interesting especially if you are interested in local history and architecture. 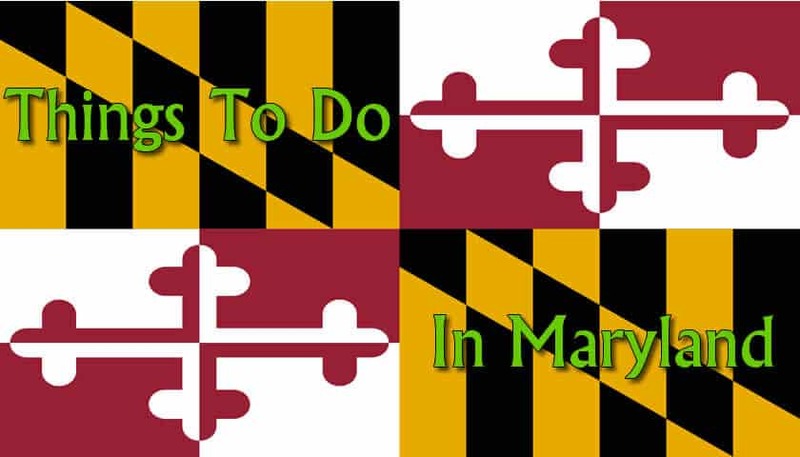 22) Also in Laurel, is the Dinosaur Park–an interesting place to learn about Maryland’s prehistoric history. You can visit any day, but for the best experience, you want to go on Saturday’s when they have open houses (check the schedule!). It isn’t far from the Montpelier Mansion so you can plan to visit both on the same day. 22.5) If you’re in the mood for archaeology and looking for fossils, here are two more great activities: Have a go at the National Geographic Museum in Washington DC. They’ve develop a great exhibit based on Indiana Jones. Great stuff! Also, there are several locations near Calvert Cliffs Nuclear Power Plant that have fossils that can be found. My best suggestion here is to visit Flag Pond beach–you may find sharks, whales and alligator teeth and shells that are millions of years old. 23) Hike at Brighton Dam – Brighton Dam is a reservoir used as a water supply for homes around Montgomery County. They have walking trails and you can do some fishing there. Also, there is a spectacular azalea garden with 22,000 azalea bushes. Best viewed around early May. 24) The Fire Museum – The Fire Museum is lots of fun for kids of all ages. Located in Lutherville, this museum has some great exhibits. It’s also a great place to have a birthday party! 25) Do your kids like climbing? There is a super-cool indoor climbing place for kids in Laurel, MD. Climbzone is unusual because it doesn’t have your typical climbing walls. Kids can climb all sorts of nets, book cases, a Mount Rushmore replica and more. Highly recommended. 26) The American Visionary Art Museum is a little different. Located in Federal Hill in Baltimore City, this place has some great stuff for kids to enjoy. 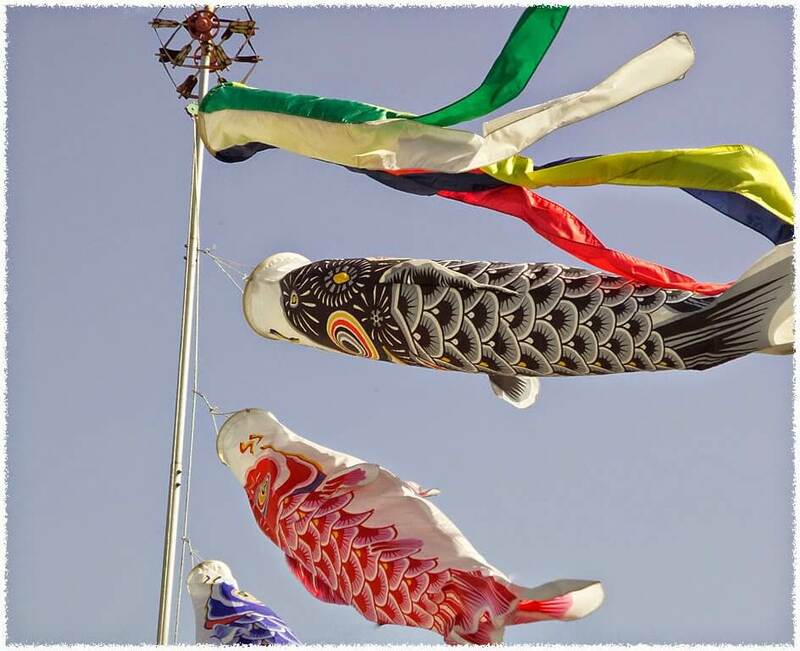 Look for their annual activities such as their whimsical moving sculpture parade and their sock puppet activity. 27) Crystal Grottoes Caverns – Discovered in 1920, the Crystal Grottoes Cavern is a great place to take kids. There are plenty of interesting and amazing formations sure to fill kids of all ages with wonder. Here are some other ideas for what to do in the DC Area with kids. For a weekly roundup of special events for kids in Maryland, Virginia and DC visit Kidfriendly DC. In the Baltimore area, we have Cool Progeny, which also is great for finding things to do.